Go Metro and receive 10% off when you check into Yelp! This "Hidden Gem" of Little Tokyo is a MUST shopping place for vintage clothing lovers (especially from the 1920s to 1980s)! 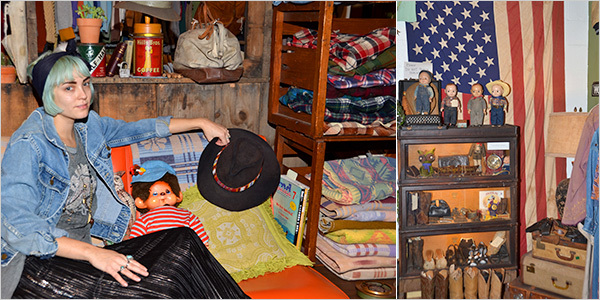 We have over 1,000 affordable, high-quality vintage accessories: denims, boots, hats and more. There is something for everyone: men, women, kids and even pets! New gems delivered every day. Raggedy Threads is located at 330 E 2nd St, Suite B, only two blocks away from the Metro Gold Line (Little Tokyo/Arts District Station). For your best route, use the Trip Planner.